It used to be thought that business, especially big business, was just in it for the money and without a shred of morals or ethics in terms of responsibility towards wider society. Of course it’s true that business exists to maximize profits, but the majority also do have a strong moral compass and are keen to maintain a balance between their operations and the economy and responsibility for how their operations affect society. If businesses have a duty to wider society then it’s Corporate Social Responsibility (known as CSR or simply special responsibility) that is the key. If you run a business and you’re not interested in anything except the bottom line you’re shutting off a prime way of creating a positive impact on the society you work in. In fact the better the reputation you establish in terms of your charitable and community work the better it will be for your business. People appreciate philanthropic work – you only have to consider the philanthropy of steel magnate Andrew Carnegie who commissioned and paid for the building of Carnegie Hall amongst many other charitable operations. It’s why business strategies incorporate CSR as a normal part of their operations, with the biggest companies often spending millions annually on it. Businesses that have a poor public image are likely to struggle, which is why social responsibility has such an important role to play in improving and maintaining a good public image. Customers and clients want to feel comfortable with the companies they are buying from and that doesn’t just include high quality products and services and excellent customer services, both before and after sales. Companies that develop community schemes or set up charitable organizations are far more likely to generate positive public perceptions. Involving employees in generating ideas for how to help the communities they live in can help motivate them in terms of productivity and feel more closely involved in how the business operates. For a business its brand is arguably its most important asset, so if you are out there and seen to be making positive contributions to the society you are far more likely to generate trust and through that improve your company’s profit margins. Let’s take a look at two companies who take their Corporate Social Responsibility very seriously. You might not think that a company that specializes in comfortable compression wear to help athletes and others recover from muscle problems and other aches and pains would be big on CSR. You’d be very wrong! Tommie Copper is a leading sportswear company that not only provides official compression clothing to many individuals and organizations but also takes great pride in promoting sport in communities throughout the USA. Through the Tommie Cares Foundation thousands of children with disabilities are empowered to take part in sporting activities, helped and enabled by staff and many volunteers. It’s a prime example of effective CSR. There can be few people who haven’t heard of the IT giant Microsoft and it too is a major player in the area of Corporate Social Responsibility. The company started its Employee Giving Campaign in 1983 and it has gone from strength to strength. In 2015 employees raised an incredible $125 million with donations made to over 18,000 non-profit organizations and schools worldwide. It’s not just money that employees contribute, it’s time as well, and the company matches donations and volunteering from employees every year. The power of social media platforms to harness marketing initiatives has given businesses a far wider reach than was the case with traditional forms of marketing. Whilst platforms such as Twitter and Facebook can be useful for flagging up new products or special offers on a company’s products and services, you should consider the effect this wide reach has when you want to get across your CSR information and stories. Using social media actively – and many companies have a dedicated team to get information out – there are opportunities to build brand recognition, trust and respect, adding value to all your operational activity. You do need to be careful about how you put your CSR messages out there. Boasting about how much you contribute to society can be a real turn off so be subtle. 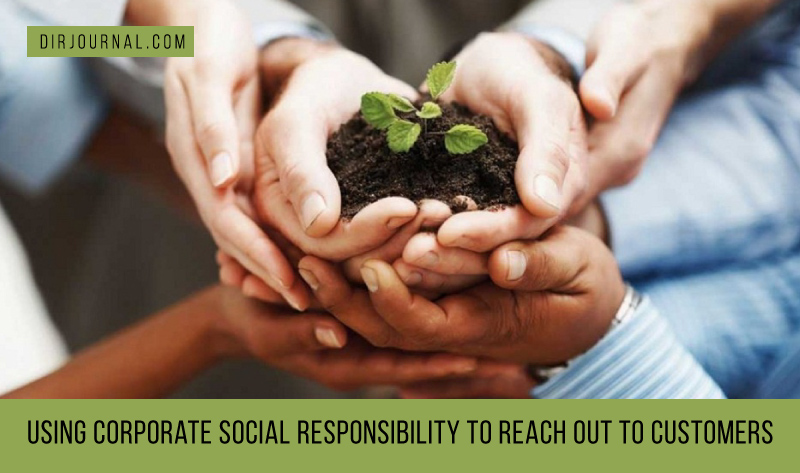 Every business should embed CSR into its organizational strategy, constantly increasing brand recognition and the goodwill that comes from actively helping society.